Self taught jewelry designer, Rodrigo Otazu, hails from Buenos Aires Argentina and is based in New York City. His designs are derived from a myriad of inspirations including music, travel, fashion, arts, and architecture, thus creating an essential vital energy from where he clearly draws his passions and inspiration to craft highly original creations of stunning style. The stock I am selling is some of Rodrigo's early work, when it was still hand made in shop. He has now become very famous. His collections are now available in 15 countries and recently he was the jewelry stylist for Lady Gaga for the MTV music awards. 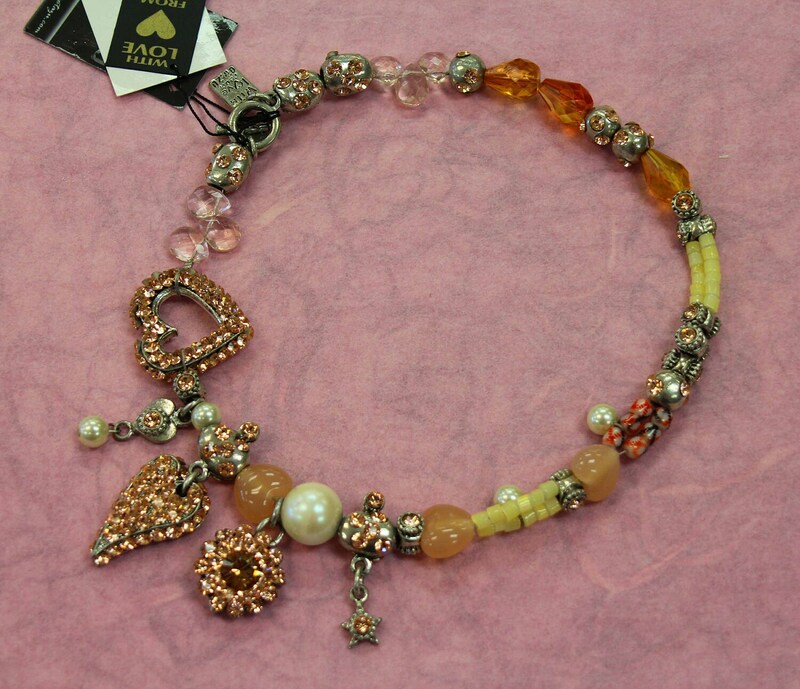 This bracelet is a perfect match for the Otazu Peach necklace I have listed in my shop, with a large 3 dimensional heart and other objects that match those that are featured asymmetrically on the necklace. Gorgeous silver tone with aurora borealis crystals, l and art glass. 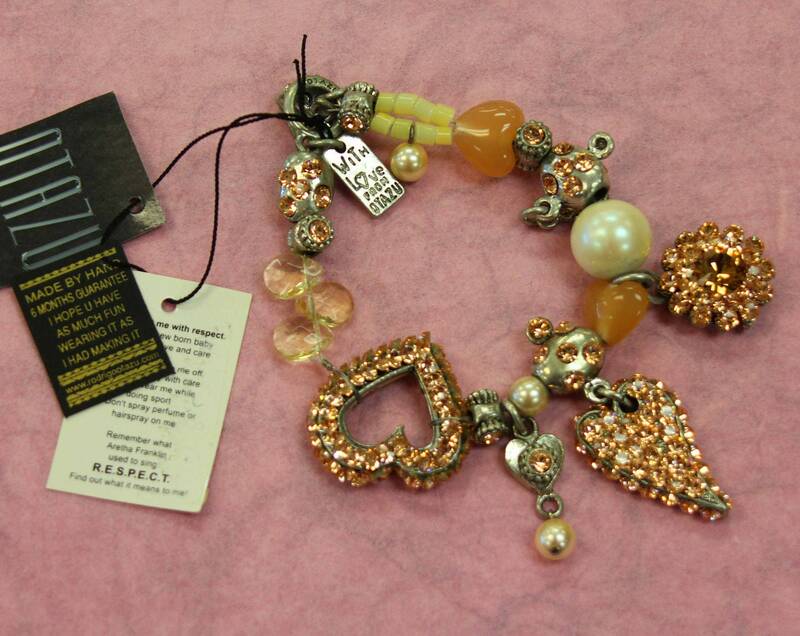 This necklace has its original tags, it has been in my shop and they got misplaced. I have included a photo of the original tag that on this piece. 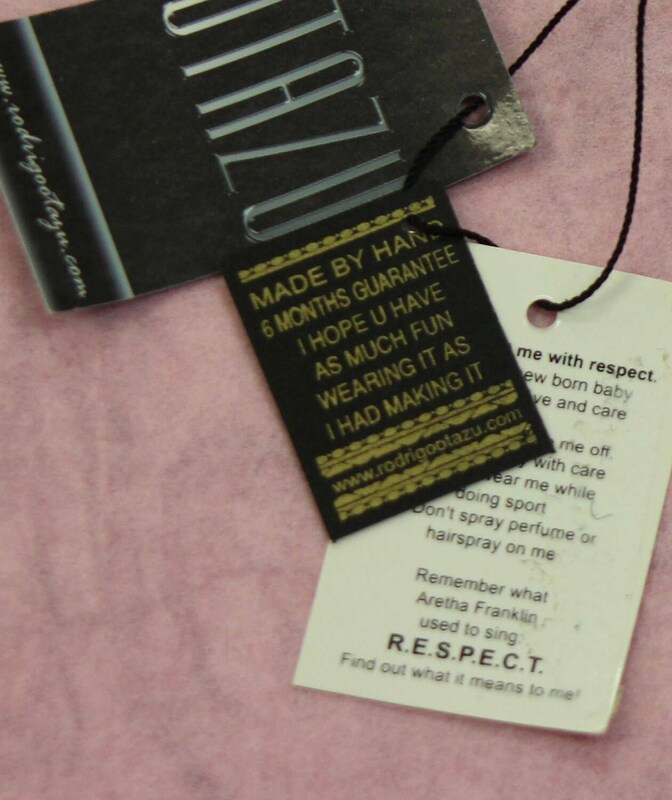 I have many other pieces that still retain their original hand made tags. Tags say 6 month guarantee. THIS GUARANTEE IS VOID since the pieces are much older than that. Please check my other listings as the companion necklace is available as well. These pieces are easily paired with vintage crystal earrings. This is a retired design and will not be made again.